Awesome! I can help with that, which of the following most describes the type of theme you're looking for? And which style would you say that you preferred? How about Forest by WPStudio? It's designed and coded by Frank Schrijvers, an up and coming (and highly rated) WordPress designer / developer out of the Netherlands. 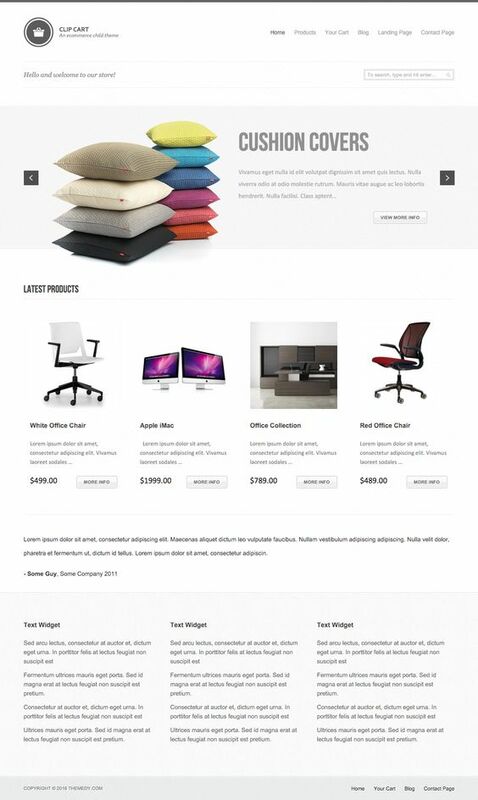 It has WooCommerce support and a slightly more subtle look than a lot of e-commerce themes. How about Clip Cart by Themedy? 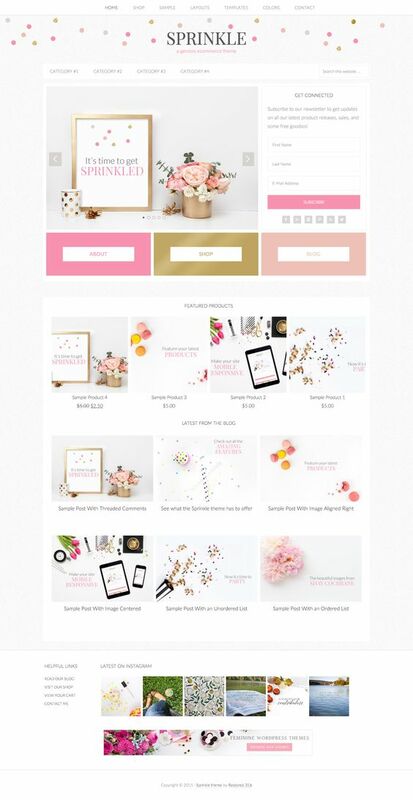 If you're looking for an e-commerce theme with a lighter look, you might do well with Clip Cart which feels slightly like an early version of Apple's online store. How about Patron by Themedy? A strong design and a layout which supports showcasing a mix of different products on the homepage (best selling, on sale, top rated, recent reviews etc). Patron is an attractive and solid WordPress theme by Themedy built to support popular e-commerce plugin WooCommerce right out of the box. How about Jessica by Web Savvy Marketing? A good theme for an e-commerce store with a lot of different categories (see Dresses, Tops, Bottoms etc on the example below). 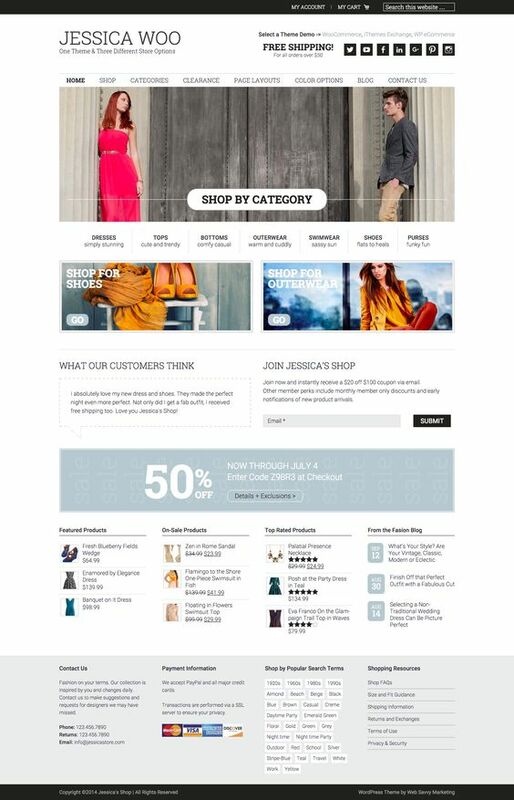 Designed with the marketer in mind with homepage sections for testimonials, email signup and discount codes. How about Beautique by Viva la Violet? An 'Etsy' type theme from Heather Jones, I could see this working well for a lot of craft businesses. How about Digital Pro by StudioPress? 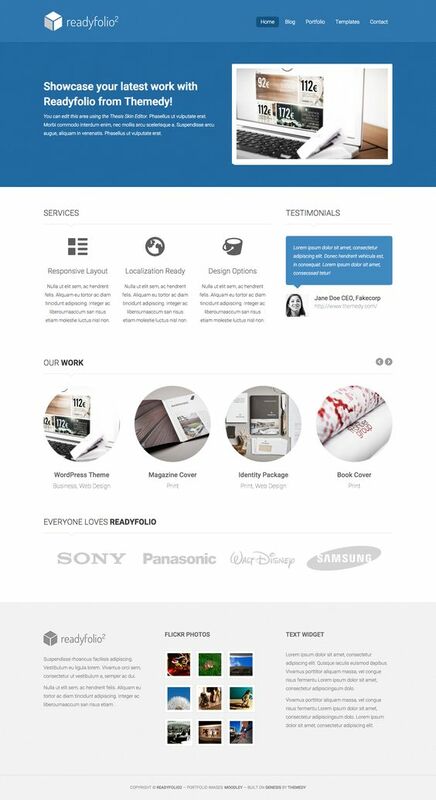 Released in early 2016 and by top WordPress designer / developer Brian Gardner, this theme has been attracting a lot of attention. Which is no real surprise considering how good it looks. Forget cramming your homepage with pointless sliders and gimmicks, this theme will help your site stand out for the right reasons. How about Atmosphere Pro by StudioPress? Now this theme really puts the minimal in minimal but it still has practical sensibilities, serving as a well thought out landing page for almost any product or service. One of my favourites. How about Parallax Pro by StudioPress? 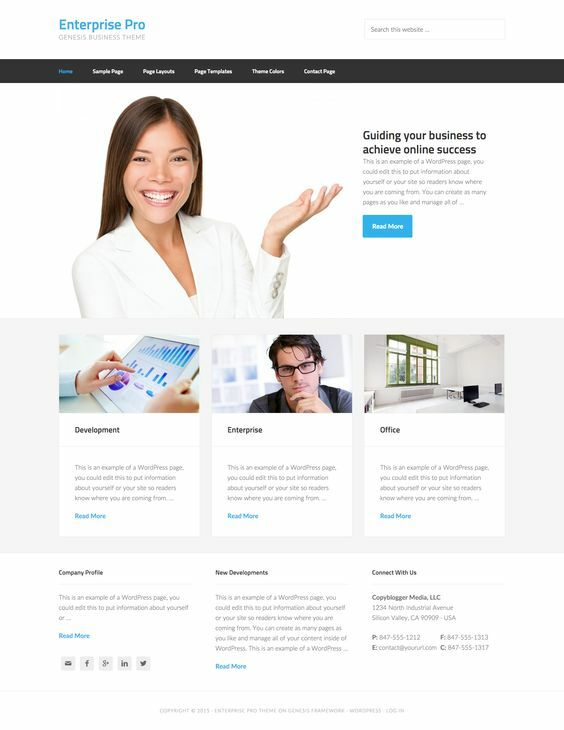 Another theme with minimal sensibilities but grounded in practicality as a great - and easy to execute - landing page for multiple types of businesses. It also features a strong call to action in the red footer section of every page. 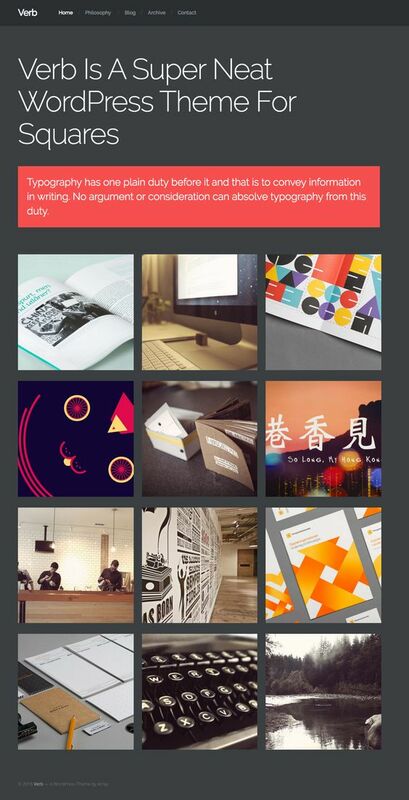 How about Remobile Pro by StudioPress? Again the style is minimal but as a product / service landing page it has a great layout allowing you to easily (and attractively) explain your idea. There's also a fourth homepage row after The Good Stuff that's not shown, if you need it. How about Darling by Pink & Press? 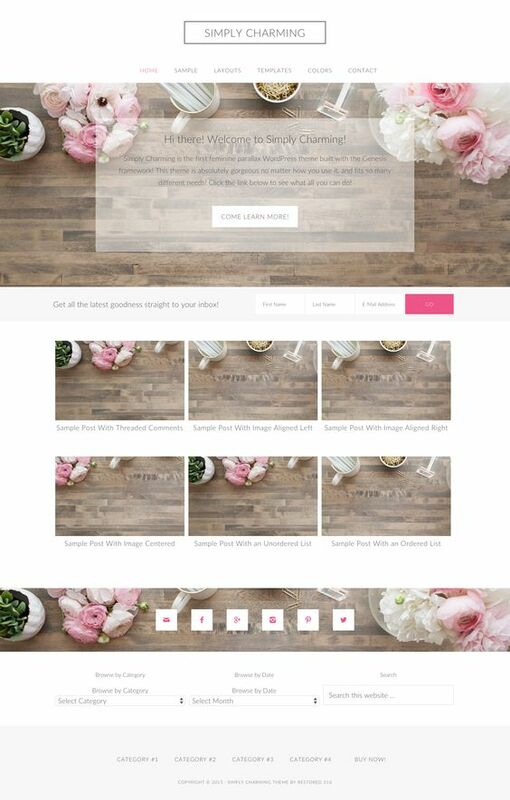 A stylish, 'feminine' theme from top WordPress designer / developer Lauren Gaige, with a great mix of homepage blocks to support different types of content (any homepage rows that aren't needed can be easily hidden). How about Sprinkle by Pink & Press? 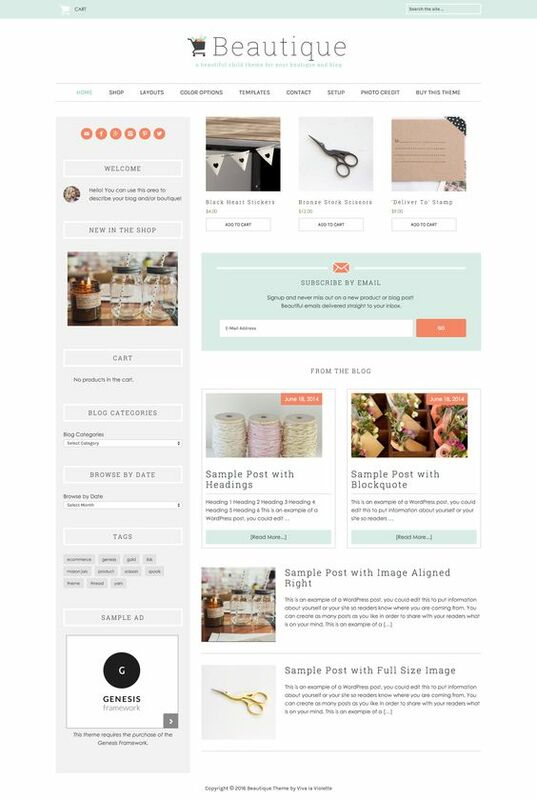 Another gorgeous theme by Lauren Gaige, with a lot of depth on the homepage including a very prominent call to action / email signup area, a featured products section and a space to show the latest blog posts. It also squeezes in two prominent menu locations at the top of every page. How about Pretty Creative by Pretty Darn Cute? An extremely stylish theme from Lindsey Riel. Designed with the marketer in mind (with a huge homepage call to action area and email signup), it also has homepage sections for portfolio content, e-commerce products and blog posts. How about Simply Charming by Pink & Press? If you're all about the content this theme might suit, it has a strong homepage call to action, email sign-up area and space to showcase the latest blog posts. How about Flourish by Pink & Press? A very refined theme by Lauren Gaige, I could see this theme working well for beauty spas, high end fashion and even some therapeutic practices. How about Showcase Pro by StudioPress? Released in Feb 2016 by talented designer / developer JT Grauke, this is a fantastic theme for talking about almost any product or service. No fluff, no sliders just the opportunity to tell your story in a few well designed homepage areas (and if you don't like the blue / green that's easily customised too). How about Altitude Pro by StudioPress? Consistently one of the most requested themes we set up. It shouldn't be a surprise though with a strong mix of homepage sections for explaining almost any product or service. A very popular theme for new product / service launches. How about Kickstart Pro by Lean Themes? 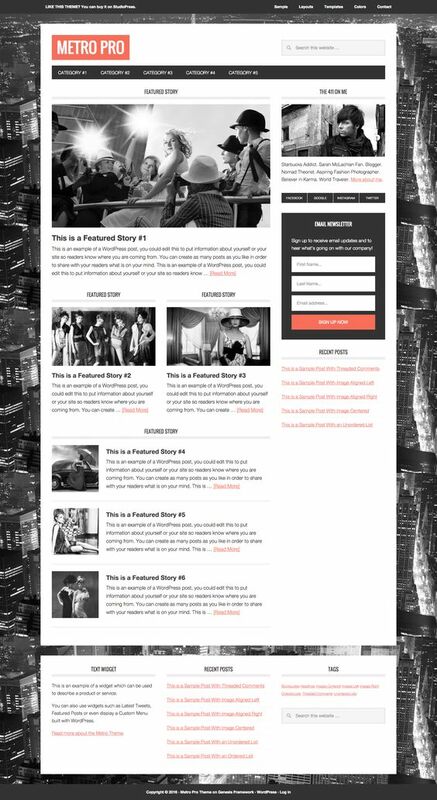 Designed by the uber talented (and friend of Theme Valet) Derry Birkett, this theme is consistently a popular choice thanks to it's useful variety of homepage sections and a design that looks like you spent thousands of dollars. The primary red colour is easily changeable as you'd expect also. How about Readyfolio by Themedy? An attractive way to showcase your new product or service. How about No Sidebar Pro by StudioPress? 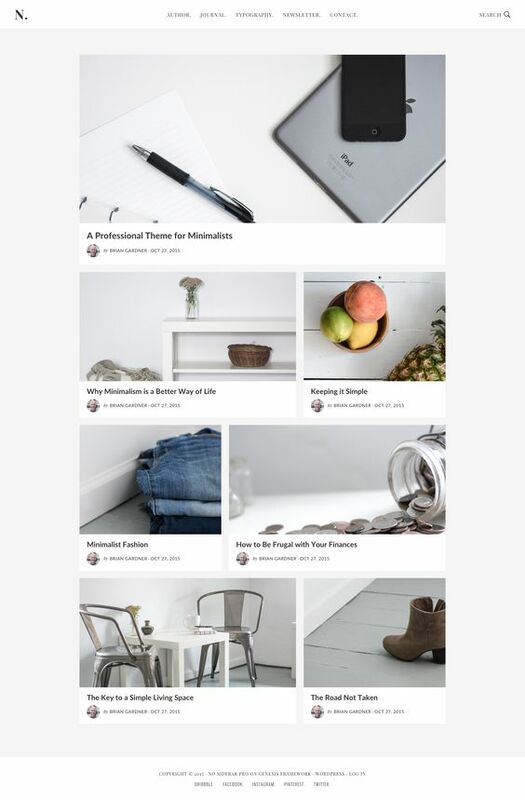 This beautiful, minimal theme was previously used on popular minimalism blog nosidebar.com (hence the name) and is a great option of if you're looking to feature photos along with your blog posts. How about Simply Pro by StudioPress? I think this would be a great option for a lot of lifestyle or fashion blogs, if you have the imagery to support it. How about Modern Studio Pro by StudioPress? Great design and useful 'call to action' bar for a simple text message that shows on every page (and as you scroll down the page). How about Milton by Lean Themes? This 'Medium style' blog theme is easy on the eye with great typography for getting your message across. 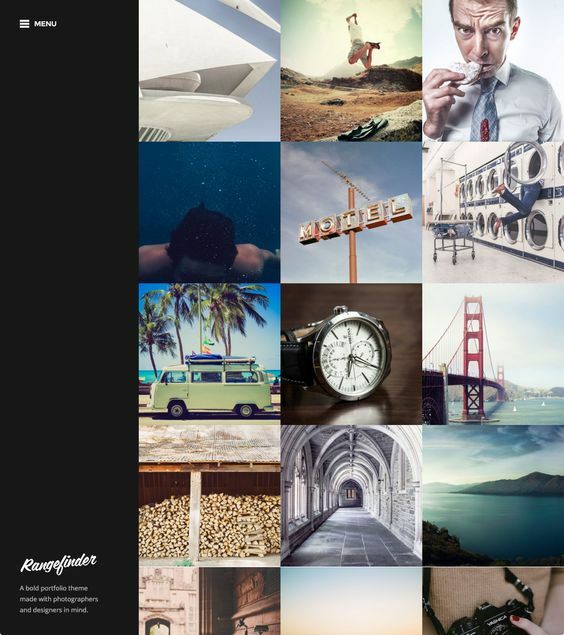 How about Magazine Pro by StudioPress? 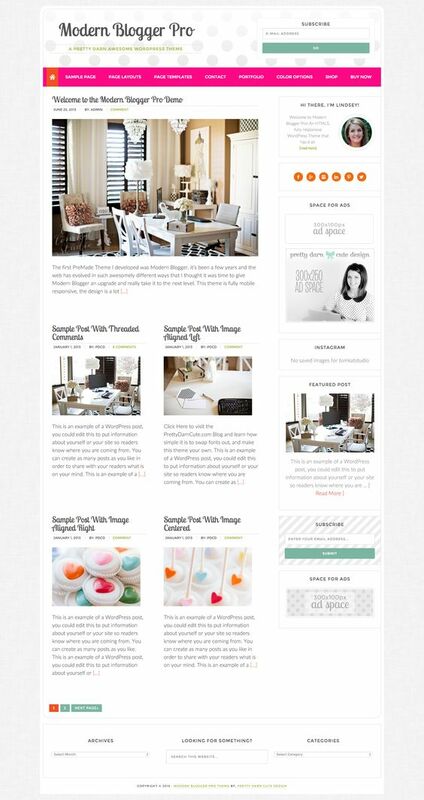 A simple but eye-catching blog theme that would suit a number of different topics. How about Metro Pro by StudioPress? Definitely not your average looking blog theme. Metro Pro is truly different without going overboard. I could see this being a great option for many fashion or art bloggers. How about Delightful Pro by Pink & Press? 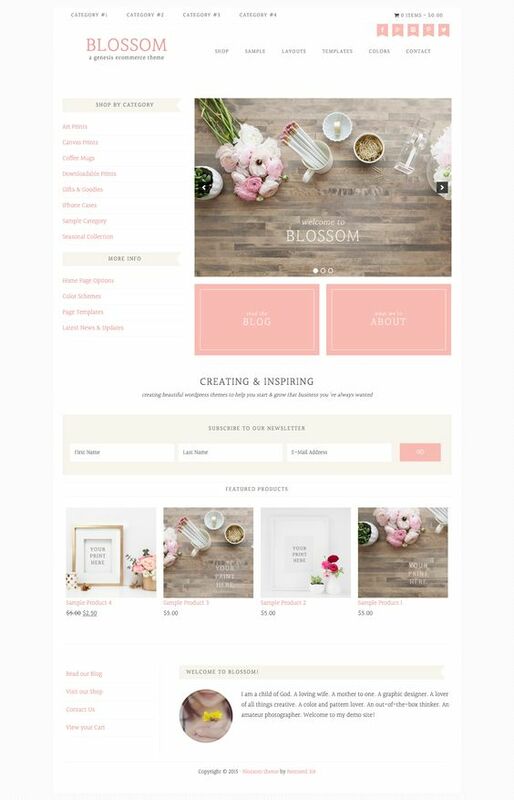 If you're all in on pink and bright colours for your blog, Delightful is probably the theme for you! How about Pretty Happy by Pretty Darn Cute? 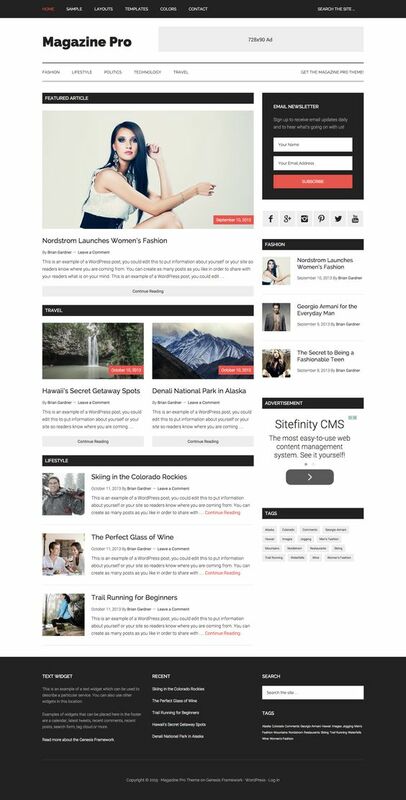 By one of my favourite WordPress designers, Lindsey Riel, Pretty Happy is a solid blog theme with a prominent email signup option. How about Pretty Chic by Pretty Darn Cute? Definitely pretty but without being over complicated, Pretty Chic is a theme that seems perfectly designed for lifestyle blogs. How about Graceful by Pink & Press? From designer Lauren Gaige, this theme breaks the mould of many 'standard' blog themes with space left for other pages (About, Contact etc) at the top of the theme too. How about Modern Blogger by Pretty Darn Cute? Definitely not a style that suits what everyone has in mind for their blog, but for those that do dig it Modern Blogger Pro is a great - and genuinely different - choice. How about Enterprise Pro by StudioPress? 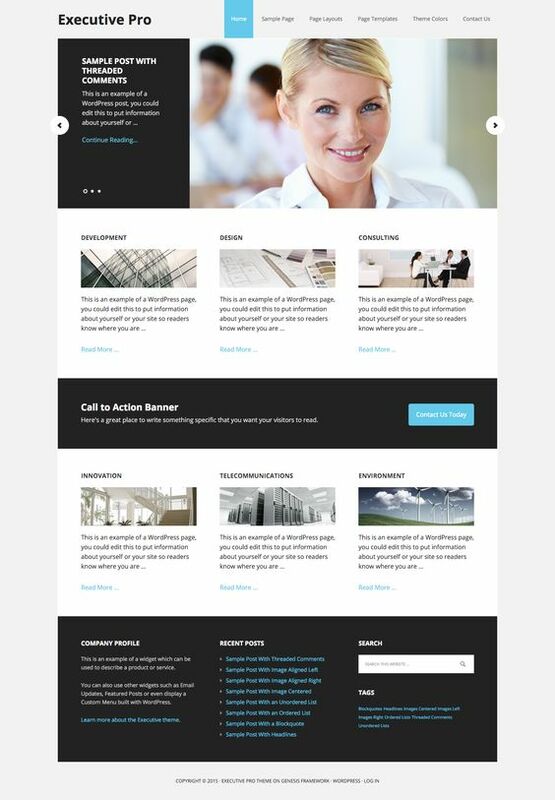 A breath of fresh air compared to most corporate themes and not afraid to use white space. 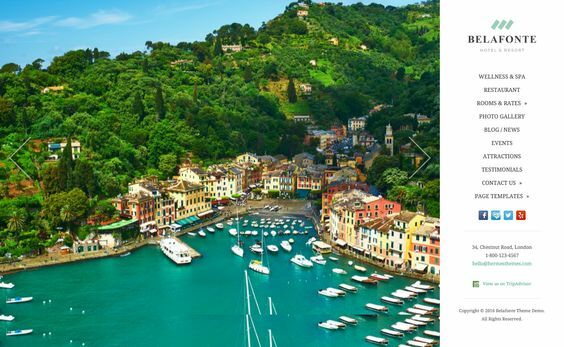 With well chosen images this theme could suit a lot of businesses. How about Executive Pro by StudioPress? My favourite 'corporate' theme in most cases is still Enterprise Pro by StudioPress, but Executive Pro provides a nice alternative. It's also well thought out with a large call to action space on the homepage and an email signup box that stands out on the inner pages. How about Foodie Pro by Shay Bocks? 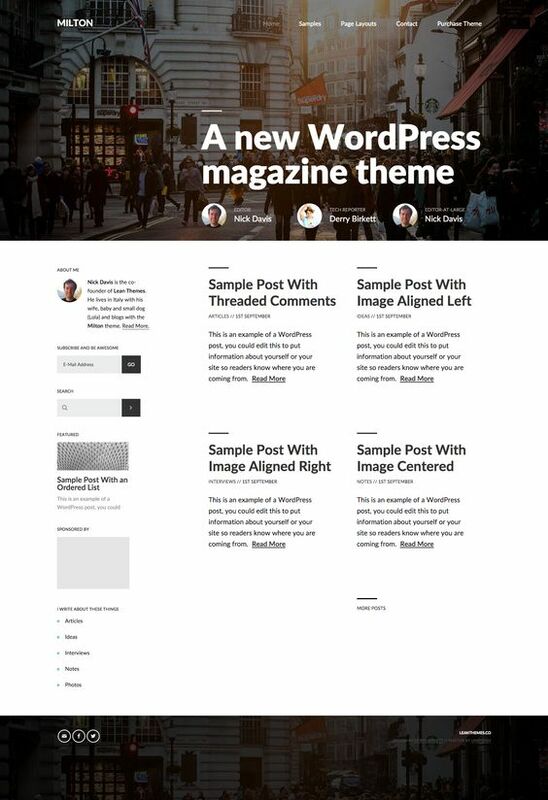 It's been the top selling theme on StudioPress.com (one of the biggest WordPress theme websites) for more than a year. So not only does it look great, it's clearly doing something right! OK, how about Brunch Pro by Shay Bocks? It's the follow-up to her best selling 'Foodie Pro' theme but with a different layout and a new look. How about Tasteful by Pink & Press? Re-introducing a dash of colour, but not too much, this theme by top designer Lauren Gaige would be an excellent choice for many food blogs (and more). How about AgentPress Pro by StudioPress? 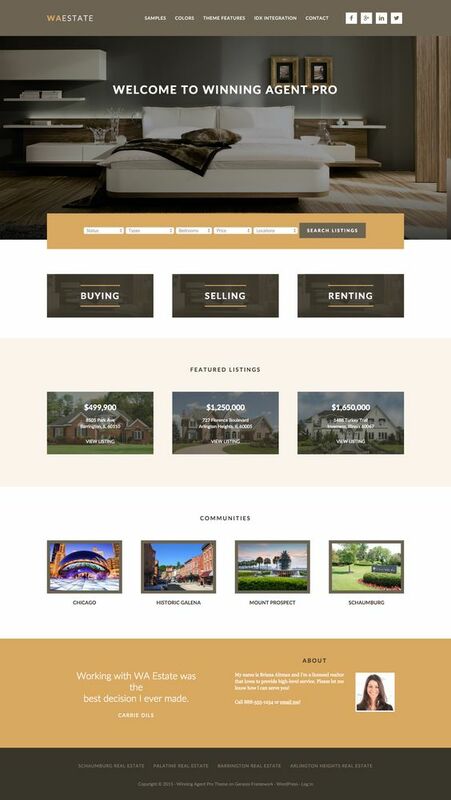 Sure it's a classic but a classic for a reason, it's one of the best designed and most unfussy real estate themes you'll ever see and has the features to boot. How about Winning Agent? I like this theme as an alternative to AgentPress. It has a good mix of homepage areas to play with and the inner pages are well thought out too. How about Hermes Themes? Not a single theme but a whole host of guest house and B&B themes from Hermes Themes. All produced by one (talented) guy. If this is the industry you're in you're almost certainly find a theme to your taste. How about Rangefinder by ThemeZilla? I'm a big fan of ThemeZilla's clean and lean themes and this theme is consistently popular with photographers that I speak to. How about Verb by Array Themes? Probably my favourite photography / portfolio theme of the moment. I'm also a big fan of Array Themes' uncomplicated designs. How about Creative by WP Studio? 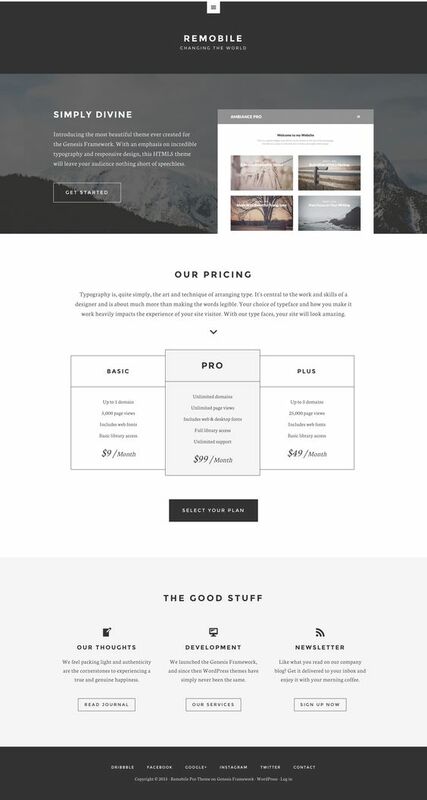 Frank over at WP Studio consistently puts out stunning themes and Creative - his theme aimed at photographers and designers - is no exception. The homepage has a mix of a portfolio section and a blog (with space for large images). How about Ansel by Imagely? 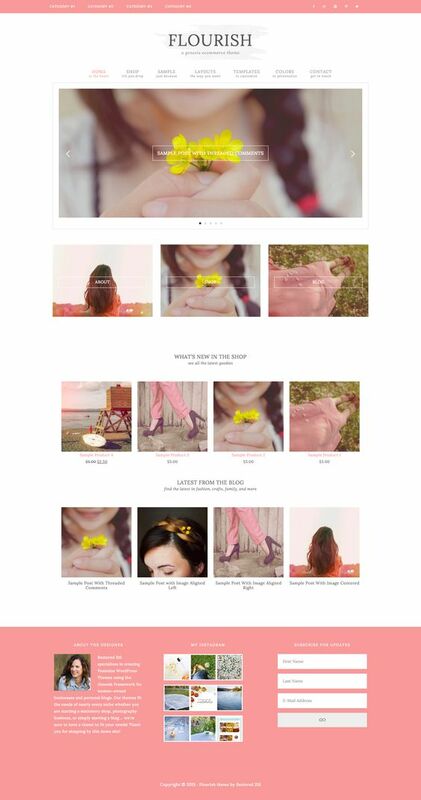 This new WordPress theme shop specialises in themes for photographers. Ansel is a particular favourite. How about Punk Bride by Imagely? Another theme from Imagely, this one on a different tip, with photos very much front and center. That's all the suggestions we have in this category for the moment, but, for more ideas why not browse our favourite themes on Pinterest? *All WordPress theme recommendations made by Theme Valet are affiliate free and free of any other advertising or incentives. We only recommend themes from developers we trust or that we’ve used ourselves.